On Sunday, February 26, the Oxford Police Department arrested Justin Hilliard (27 Oxford, MS) and Demarquis Gipson (22 of Oxford) for Burglary (Home Invasion). On February 26, 2017, the Oxford Police Department received a call to the area of Pegues Road about a male that had been assaulted inside of his residence. Hilliard along with Demarquis Gipson forced their way inside of the victims residence and the victim was hit multiple times with a handgun in the face according to the victim and witnesses. This event was connected to a argument between these three men during the past weekend. The victim was transported to Baptist Hospital for treatment and was later released. Hilliard and Gipson were given a bond of $100,000. On Monday, February 27, 2017, investigators of the Oxford Police Department charged Andrew Devin Hobby (31 of Oxford) and Jerry Tyler Miller (19 of Oxford) each with two counts of Malicious Mischief. On January 13, 2017 Hobby and Miller were accused of starting a fire on a pickup truck that resulted in the pickup truck and the four wheeler on the back of the pickup to burn. Both vehicles were totaled due to the fire. There was another vehicle parked beside the burning pickup that was damaged because of the fire. Throughout our investigation a witness came forward and gave the details of how the crime took place. Hobby and Miller both were charged with 2 Counts of Malicious Mischief and each men were given a bond of $10,000.00. At approximately 7:35 pm the Oxford Police Department responded to the area of Pegues Road in reference to an assault with a firearm. Upon arrival officers located the victim who had a gun shot wound to his leg. The victim stated that he was approached by two black males asking for a cigarette. When he approached them both suspects pulled firearms and attempted to rob him of his money & jewelry. When the victim refused to give up his money & jewelry one of the suspects fired their weapon. The victim was shot in the leg and the suspects fled on foot. Officers set up a perimeter of the area and began searching for the suspects. The search did not yield any results. The victim sustained non-life threatening injuries. He was transported to Baptist Memorial Hospital & was released shortly after. The Oxford police department is actively investigating this incident and is asking that anyone who might have information please contact the investigation division at 232-2400 or crime stoppers at 234-8477. On February 22, 2017 at approximately 6:08 am officers were dispatched to the Oxford Galleria I parking lot for a reported strong arm robbery. When officers arrived they spoke with a female there who stated as she was walking from her car to the Belk Department Store to open up she was approached from behind by a tall slender black male wearing a dark t-shirt and blue jeans. The suspect then grabbed her by her arm and took a bag from her. He then fled on foot through the parking lot towards Jackson Avenue where he got into a white car. The white car drove out Home Depot Drive, took a right on Jackson and then to Hwy 278. The victim lost sight of the car at that point. There were no injuries to the victim but she did state that she scratched the face of the suspect. Investigators were called to the scene and are working on getting video footage from the area. Once any images are available we will release them. We are asking that anyone with information please contact us at 662-232-2400 or CrimeStoppers at 662-234-8477. On February 17, 2017, Investigators with the Oxford Police Department were contacted regarding bad checks that were written to the Belk Department Store. Upon, arrival it was determined that a female who was identified as Charletha Joiner (38 of Oxford) came into the store on December 10, 2016 through December 12, 2016 and wrote bad checks. The total amount was $1,362.12. Joiner would then return some of the items for cash and received $896.13 in refunds. A warrant for False Pretense was issued for her arrest and she was arrested by the Lafayette County Sheriff’s Department. Ms. Joiner was given a bond of $1,000. On February 17, 2017, officers with the Oxford Police Department were dispatched to Martin Luther King Jr. Drive in reference to a white male breaking into a home. The suspect who was later identified as Daniel Bass (25 of Oxford, MS) reportedly walked into the residence unannounced. The female victim was home and once inside Bass approached her and began kissing her. She tried to push Bass off her and she attempted to get away from him but he jerked her back towards him by her hair. The victim was finally able to get away from Bass and call for help. Bass was located not far from the area and arrested and charged with breaking and entering. He was given a bond of $5,000. On February 18, 2017, officers with the Oxford Police Department responded to a residence for a report that a male, identified as James D. Robinson, 48 of Crystal Springs, broke and entered into a home on Burney Branch and assaulted the resident. Robinson fled the scene and a warrant was issued for his arrest. Robinson was trespassed from the residence several days prior. Robinson and the home owner were formerly in a dating relationship. Injuries to the victim were minor. The following day Robinson was located in Hazlehurst, MS and arrested for breaking and entering and domestic violence. Robinson was transported from Copiah County Jail is currently in the Lafayette County Jail on a $40,000.00 bond. On February 15, 2017, officers with the Oxford Police Department took a report regarding a domestic violence incident. It was determined that the suspect who was identified as Joseph Eubanks (22 of Oxford) strangled the victim at his residence that night. Mr. Eubanks was subsequently arrested at the scene and transported to the Lafayette County Detention Center. He was given a bond of $5,000. On February 15, 2017, officers with the Oxford Police Department responded to a residence on Anchorage Road for a reported burglary. Upon arrival they spoke with the victim who informed them that a male by the name of Justin Long (24 of Oxford) had broken into his residence and stole miscellaneous items valued at $60.00, those items have not been recovered at this time. Justin Long was subsequently arrested and charged with burglary. He was given a bond of $1,000. Dominique Carrothers, 24 of Batesville, Miss. On February 7, 2017 Investigators began working a grand larceny case from the Animal Clinic of Oxford. Investigators had information that a possible employee had stolen medicine from the clinic and was reselling it online. Investigators set up a meet with the person posting the items for sale. Dominique Carrothers, 24 of Batesville, was arrested later in in the week and he had over $1,529.25 worth of stolen merchandise from the clinic in his possession. Mr. Carrothers was arrested for Grand Larceny and given a bond of $2,500. On 2/3/17 Officer’s responded to Effie Circle for a report of a burglary. On 2/4/17 the victim contacted the Police Department about the burglary. On 2/6/17 the victim came to the Police Department and signed charges on Ryan Wilkerson (33 of Oxford, her ex-boyfriend) for burglary. The victim is alleging that Wilkerson stole $500 worth of items from her house. On 2/7/17 Investigators served a warrant on Wilkerson and he was booked at the Lafayette County Jail. His bond was set at $2,500.00. On Sunday, February 5, the Oxford Police Department arrested Thurman Brooks (19 of Charlotte, NC) and John Dossett (20 of Cleveland, MS) for burglary. On February 5, 2017, the Oxford Police Department received a call about two males trying to break into a residence on South 16th Street. The caller stated the same two males tried to break into the residence the previous night. Officers arrived at the residence and received a description of the two males. Thurman Brooks and John Dossett were arrested a short time later for going into the residence and taking items. They were given a bond of $5,000. 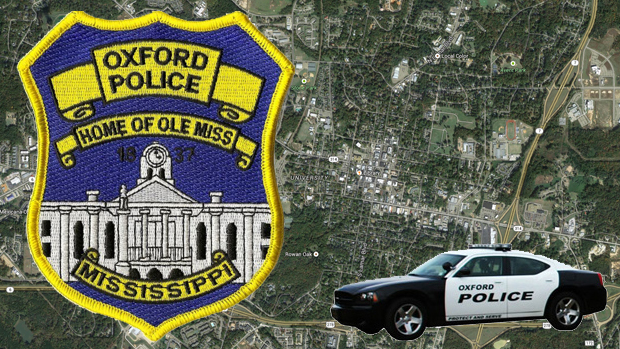 On January 31, 2017, officers with the Oxford Police Department were dispatched to Buffalo Wild Wings for an auto burglary that occurred on January 29, 2017. The responding officer was able to view video footage from the outside of the business and he observed a male walk out to the vehicle, get inside the vehicle and then go back to the business. The male was identified as Javon Campbell. A warrant was issued and he was taken into custody. He was given a bond of $2,500. On January 21, 2017 the Oxford Police Department responded to Your Extra Closet for burglary of a storage unit. The storage unit had the lock cut off and items were stolen from it. During the investigation it was determine that nine other units had locks cut. Five of the nine units did not have any items missing. Through the investigation we were able to identify Randy Hudson (40) of Pelahatchie, MS as our suspect. Hudson rented a U-Haul from Grenada, MS using a fraudulent Mississippi Driver’s License with a fake name. Hudson went through Oxford and other areas and cut locks off storage units. Hudson stored some of the stolen items in a storage unit he rented and possibly the U-Haul truck that he used to transport stolen goods. Hudson was subsequently arrested in Tupelo, MS on January 30, 2017. Tate County had the same charges on Hudson for cutting locks on storage units and stealing items. Tate County took him into custody. Hudson is on hold at Tate County, he has 6 counts of burglary with us his bond has not been set.